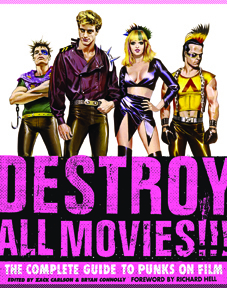 Edited by Alamo Drafthouse Cinema programmer Zack Carlson and filmmaker Bryan Connolly (with the help of some trusty cult cinema fiends), DESTROY ALL MOVIES!!! is an absolutely essential film reference book for which the contributors spent six years combing through literally five hundred million movies looking for any sign of a purple Mohawk or studded collar. Featuring reviews of over 1100 movies, interviews with every seminal punk who ever graced the silver screen, and filled to the max with rare colour stills and posters, this book is stunningly good and the eye-popping design by Fantagraphics mainstay Jacob Covey ain’t too shabby either. 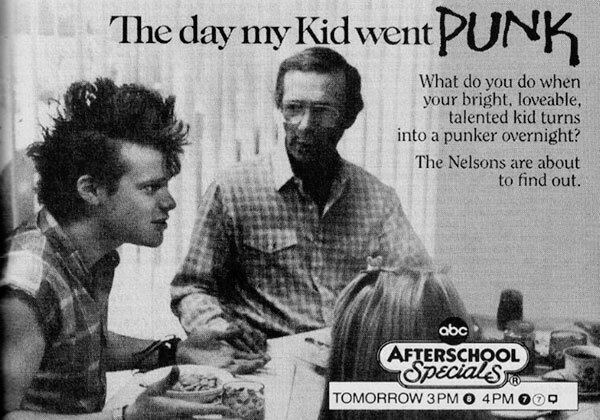 They even interviewed the guy who played ‘punk on bus’ in Star Trek IV: The Voyage Home! Now, that gets my vote for comprehensive. When I think punk on film, the first thing that comes up in my mind is Jewel Shepard in “Return of the living dead”. This book is beyond comprehensive and documents a wide variety of punk rock characters. It’s also well designed with a great layout.